After earning his B.S. and M.S. 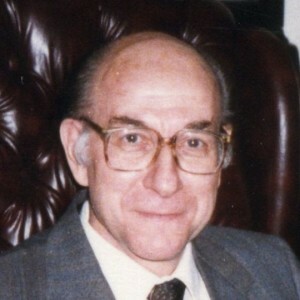 from the University of Goettingen in 1952 and 1954, respectively, and Ph.D. from the University of Mainz in 1956, Richard F. Arenstorf moved to the United States to work at the Army Ballistics Missile Agency in Huntsville, Alabama. In 1960, he began working with NASA, and, after the first successful manned moon landing, Arenstorf joined the Department of Mathematics at Vanderbilt University. After his initial thesis on number theory, Arenstorf’s primary area of research was in celestial mechanics. He made great strides in attempting to solve the “three-body problem,” strides that were important in planning the trajectories of man-made space vehicles and satellites. This work led to his discovery of what is now known as the “Arenstorf periodic orbits,” which was important in the planning of the Apollo lunar landing missions. Arenstorf was awarded the NASA Medal for Exceptional Scientific Achievement in 1966 because of the monumental impact he made on the space program. While at Vanderbilt, Arenstorf served as an important member of the faculty. He introduced and offered several new graduate courses, and he was an advisor to several graduate students studying number theory. He also served on the university’s Computer Resources Committee, Patent Review Committee, Graduate Faculty Council, and Traffic Committee. He was a member of the American Mathematical Society, Society for Industrial and Applied Mathematics, and the National Space Institute. Arenstorf became an Emeritus Professor with the department in 1997. He passed away on September 18, 2014. Arenstorf bequeathed an endowment to fund the Richard F. Arenstorf Scholarship, which is awarded to a select group of primarily incoming graduate students each year to offset educational expenses.